Tell us about your upcoming title Battle Bay. In May 2017, Rovio launched a brand-new mobile game IP, Battle Bay. Battle Bay is Rovio’s first real-time, multiplayer game. Players have a chance to engage in 5 on 5 battles on the open sea with other players. Players can hire and train their own crew, collect and upgrade items and buy ships to improve their chances in battles. Battle Bay has been developed 100% internally at Rovio. The story with Battle Bay is only starting at launch. We have many really interesting features in the pipeline for upcoming months. 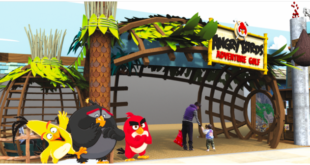 What new Angry Birds launches are on the horizon? We at Rovio are constantly developing and creating something new and exciting. In June 15th we released our latest game title, Angry Birds Evolution. Angry Birds Evolution introduces over 100 new, never seen characters. The well-known birds have completely new look and attitude. 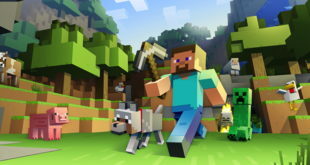 In this 3D RPG game, player can build and train their team to evolve the flockers to save the world from the pigs. Currently Rovio has a few game titles in soft launch. For example, the game about hatchlings, Angry Birds Match, is now in soft launch in selected markets. 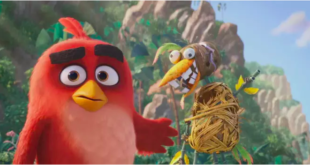 In consumer products, we will put the spotlight on the Hatchlings, those adorable and mischievous break-out stars of The Angry Birds Movie that have become a phenomenon of their own. These baby birds will be featured in The Blues animation series on YouTube during 2017. The Piggies will also continue their shenanigans in Piggy Tales’ fourth season called Piggy Street, which will be available for viewers during 2018. In addition to the short form animated content, The Angry Birds Movie sequel is in the works in cooperation with Sony and the planned premier date is 20th September 2019. Angry Birds Evolution brings Rovio games to whole new level with over 100 new, never-seen, characters and shows how well Angry Birds resonates with an older audience, too. What have been some of the most successful licensed Angry Birds products or ranges? Toys and apparel are our most popular categories and we work with great partners such as Lego and H&M to bring the Angry Birds products to our Fans. How has the Angry Birds brand grown since the release of the film? The Angry Birds was a widely known and recognised brand also before The Angry Birds Movie premiered in May 2016. The movie helped in telling the story of the Birds and the Pigs and bring it to life. Overall, The Angry Birds Movie strengthened the Angry Birds brand as well as supported and enhanced both the Game and Consumer Product businesses. 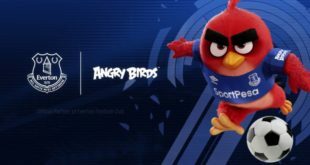 What new opportunities will Angry Birds Evolution bring to the table? Angry Birds Evolution provides interesting cooperation opportunities between different partners in both games and licensing businesses. The game has launched into a very good start and we are currently looking into various options for possible cooperations with selected partners. Angry Birds Evolution brings Rovio games to whole new level with over 100 new, never-seen, characters. 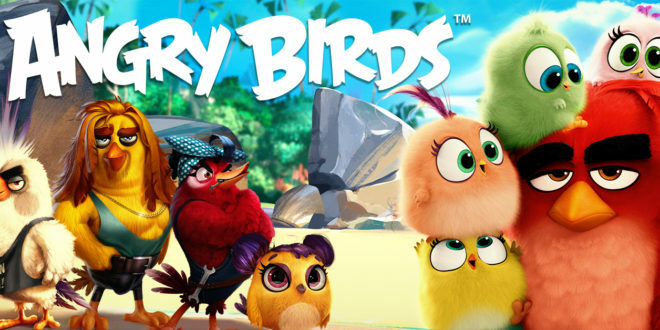 Angry Birds Evolution is introducing the birds with brand-new, more adult orientated, attitude and humour. This game shows how well the Angry Birds resonates with an older audience, too!